Sketch Fridays #11 – Nicole. I am usually at a loss for things to draw; even under the ostensible regimen of Sketch Fridays, I have found, a few times, myself sitting down saying, “I must draw something” despite that being rather counter to the idea behind Sketch Fridays. The sketches for these posts should be loose and spontaneous, but I make them into an event––for lack of a better word––in my head. This problem persists because I forget that there are an infinite amount of subjects around me, and drawing from life is something I should do more. The funny part is that the few times I have drawn what I see around me, it has been rather generative, creative, challenging, and fun––and yet I still don’t do it. Taking the time to focus on what’s right in front of me is a good distraction from the voices proclaiming self-doubt that reflect off of the walls of my brain. 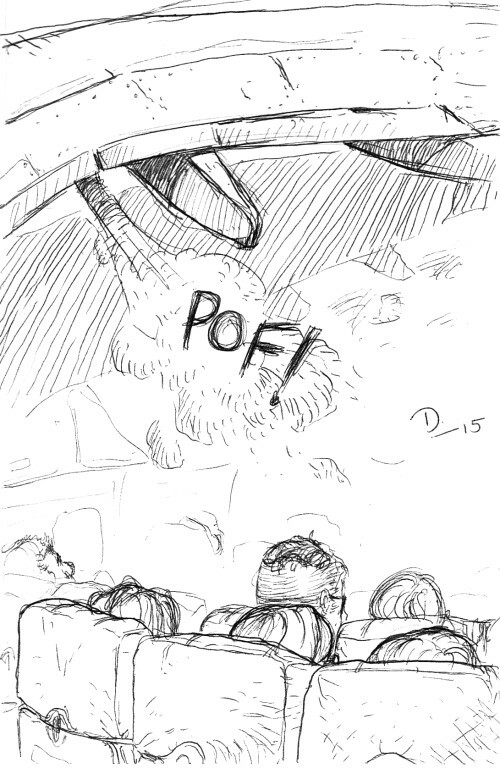 Drawings from a plane ride at the beginning of the year. So, this week, I decided to kind of draw from life, but to draw while doing my best to not look at the subject. Because I’m scared and shy, especially about my art (believe it or not). My wife, Nicole, and I created a tradition for our fledgling family (consisting of us, our two cats––Martha and Rose––and our puppy, Rusty) that occurs midway through December every year. As soon as my teaching for Fall semester ends––but before I start grading all the final projects––Nicole and I (and now, Rusty) venture westward (and northward) to a small coastal California town called Sea Ranch to spend a long weekend away from work or general worry. We just celebrated our third year and, as ever, it was regenerative. 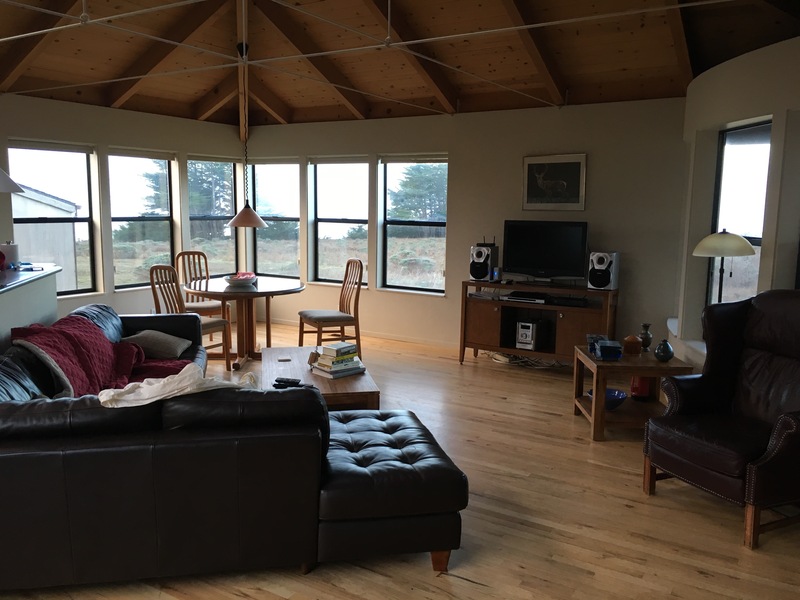 A place to not worry about anything for a weekend (Sea Ranch, CA). With the downtime, I was able to unwind with some casual sketching. As happens often––and as explained above––I opened my sketchbook and had no idea what to draw. One rainy afternoon, Nicole and I drank beers at the dining room table, staring out the picture windows at the crashing waves on the nearby cliffs. Family of deer rested among the tall native grasses, their ears poking out like hares on their hind legs, peeking over the cover for potential food or threats. 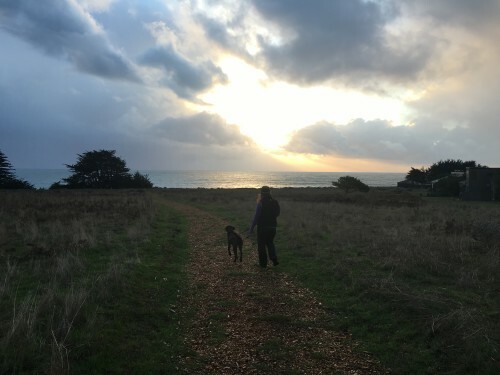 Nicole & Rusty in Sea Ranch, 2015. I had my sketchbook open, like I had for most of the weekend, but the blank page inspired nothing from me. Nicole was looking out at the ocean and the rain and the deer, enveloped in the idea of what this getaway is supposed to be. The devilish notion of drawing her peeked past my self-consciousness, and I gave in to it. I’m normally way too shy to draw people that have the potential of seeing me draw them (which sounds super creepy, I admit it; but this anxiety is in the service of trying to not be perceived as creepy, I promise), even people I know. 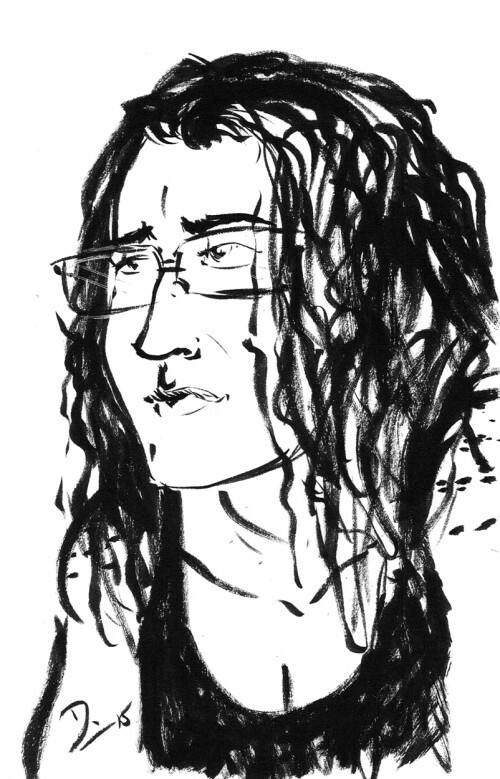 I’ve only drawn a few people I know with them sitting in the room with me, and it has usually worked out. Candid drawing of old friend, former roommate, and bandmate, Ryan Ritchie (when he wasn’t looking) from 2000. So, I drew Nicole in quick glances and even faster lines. I had to be deliberate since I was drawing straight to ink, with a Pentel brush pen which meant that I had to live with my mistakes. So, the drawing at the top of this post is a lesson in gesture and guesses, drawing from a subject out of the corner of my eye. It’s not an exact likeness, but it captures where she was at that moment, and embodies what Sketch Fridays should be about in both its flaws and its successes: spontaneous and reactive rather than prescribed and forced, which also encapsulates the subject rather well, too. Thanks Dan. 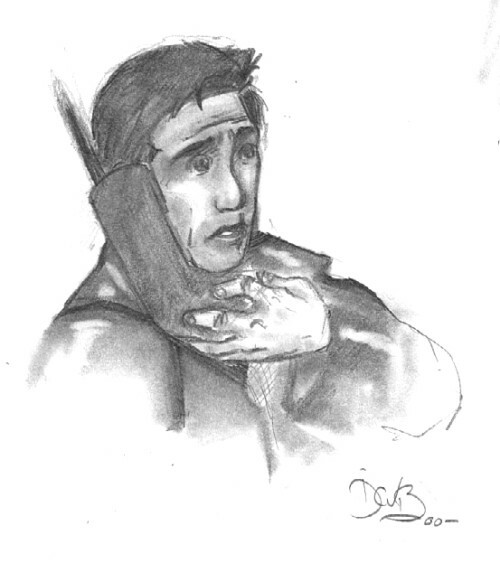 Your sketches and narrative are the best things in the Friday mail!